I’ve been wanting to try doing some texture processing on my images for some time and I finally went ahead and downloaded some. Based on a recommendation from John Barclay I downloaded the Flypaper textures to give them a try. 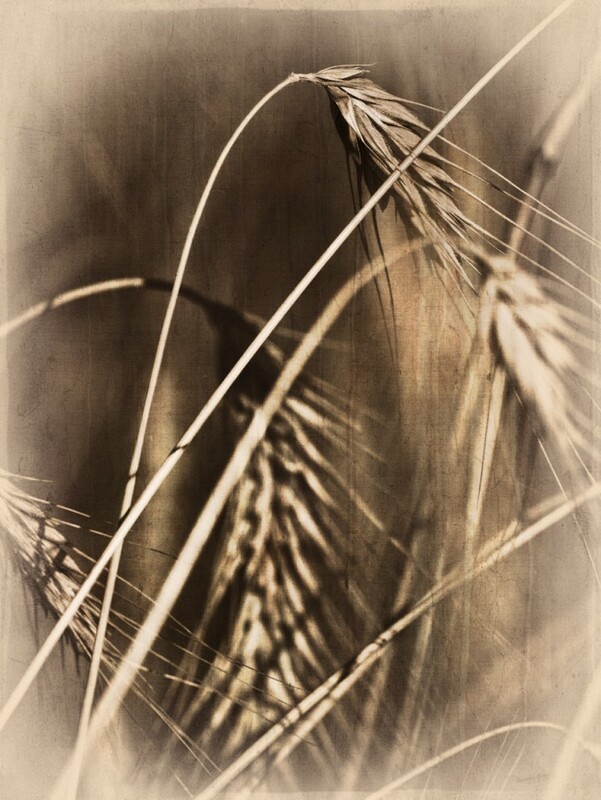 I picked an image I had taken a couple of years ago of a stalk of wheat from a nearby field. 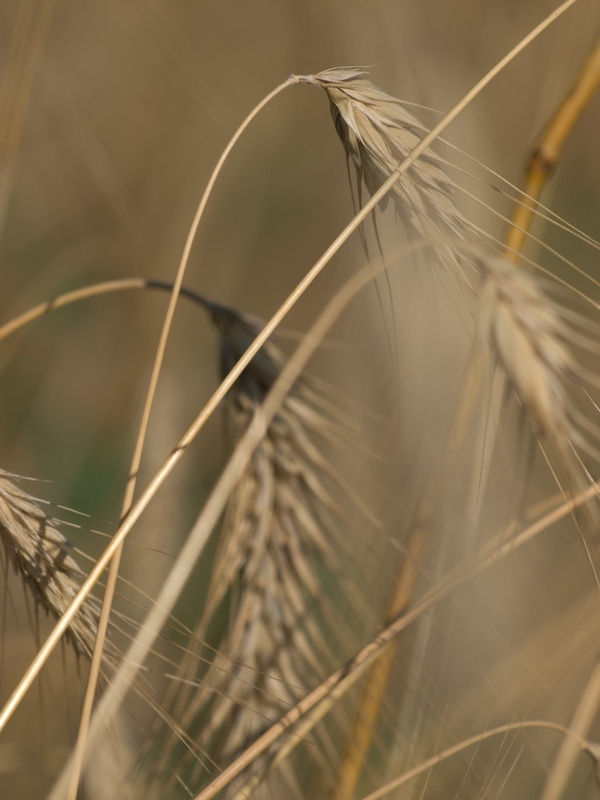 I remember the day being windy and it was a challenge to get the grain portion in focus while keeping the DOF to a minimum. This was one of those images that I sort of liked, but couldn’t come up with a final image that I really liked. This time I decided to try adding some texture to the image and do some more playing around and I like what I came up with. The main processing involved a couple of different steps. The first thing I did was create a black and white image using Silver Efex Pro 2. I then applied the ‘Leaky Garret’ texture in overlay mode at 94% opacity. This brought back some color to the image along with the texture. If I had started with the color image and applied the texture the color would have been too strong. The next thing I did was apply Fly Edge 29 to create an interesting edge. I masked out most of the center of the image because I really only wanted the edge component of the texture. I then took the image back in to Silver Efex Pro and used the Antique Plate II preset. This preset created a reverse vignette I really liked. I debated about using the new edge feature of Silver Efex Pro 2, but decided against it. After saving, I again applied a mask to bring back some of the color provided by the first texture. A bit of sharpening and the image is as you see above. As always I would love to hear your feedback. Please leave a comment below. Man, this is a fantastic use of textures. I really like the final image results you achieved here. I have so much more to learn on textures! Great inspirational shot! I agree with Chris, great use of textures. I think the texture and the processing really suits the subject.